BEIRUT (Reuters) - Lebanon's Blom Bank said on Wednesday it had signed an agreement to acquire the assets and liabilities of HSBC Bank Middle East-Lebanon, a wholly owned subsidiary of HSBC Holdings. 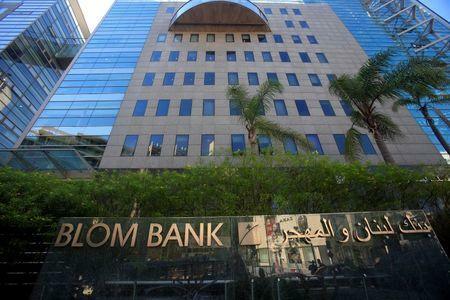 Subject to regulatory approval from Lebanon's central bank, Banque du Liban, the transaction is expected to be completed in the first half of 2017, Blom said in a statement. Blom said it would ensure "employment continuity to all HSBC current employees". HSBC has been in Lebanon since 1946 and has three branches in Dora, Ras Beirut and St Georges Bay. Blom's statement said HSBC had about $953 million in assets in Lebanon as of June 30. "This acquisition falls under Blom Bank's strategy of expanding its customer base and diversifying its assets and revenues. The transaction will help Blom Bank expand its corporate and commercial businesses as well as its retail activities," Blom said. Blom is Lebanon's second-largest bank by market capitalisation, according to Thomson Reuters data, just behind Bank Audi.